This is my fourth annual presentation at Small World Theatre, Cardigan. If this looks like your kind of thing, then you’d be most welcome. Based on past presentations, it would probably be better to book well in advance. This year’s gig takes place, intentionally, on the Full Moon. If you fail to see why this might be significant, then that’s another reason to come along, for you could gain an important insight concerning the relationship the earth has with the sky. At this gig I intend to show how a continuum of often hidden rules (intentionally or otherwise) have governed the design of temples and other sacred monuments since megalithic monuments were constructed over most of the inhabited globe. These rules do not form part of any normal educational curriculum, yet they are freely available for inspection at many megalithic sites, medieval cathedrals and churches. They are also invariably found in the study of crystals, flora and fauna and throughout almost all natural life processes on planet earth, and in our planets relationship to the sun, moon and cosmos. Small World Theatre opens its doors to offer a initiatory dollup of these rules for those who wish to escape from Brexit, worries about the economy and of seemingly interminable world crises. The idea that numbers possess an inherent quality in addition to their quantitative value seems not to be something that the modern secular world wants to accept, nor that geometry is inherently a sacred art. So, it seemed a refreshing idea to present some of the facts about temple design (and these are facts, due to their numerical and geometrical basis), with lots of worked examples. The result is a set of slides, musical interludes, models and interactive processes where participants may gain insight into the traditional methods employed in building connecting links between Heaven and Earth. 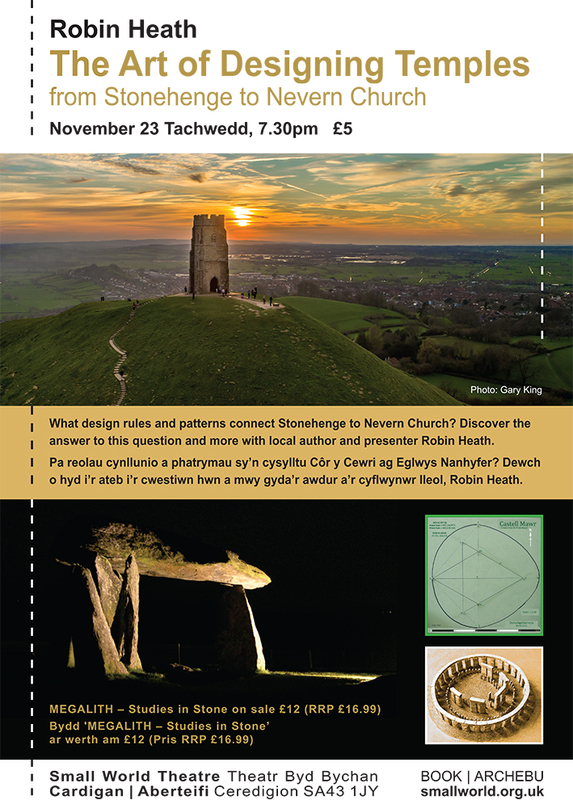 The intended outcome of this presentation will be to reveal direct connections between Stonehenge, Chartres cathedral and Nevern church, between St Davids and Strata Florida Abbey, raising individual awareness of a rich traditional legacy that has been located on the landscape since at least 300 generations ago, from the Neolithic period through to modern times. 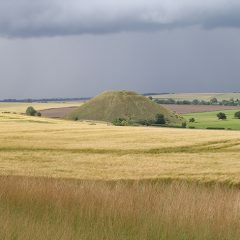 These structures have always been used to manifest and reveal the creative processes to those who can recognise them. Right time, right place and right motives – do please come along if this sounds like your thing.